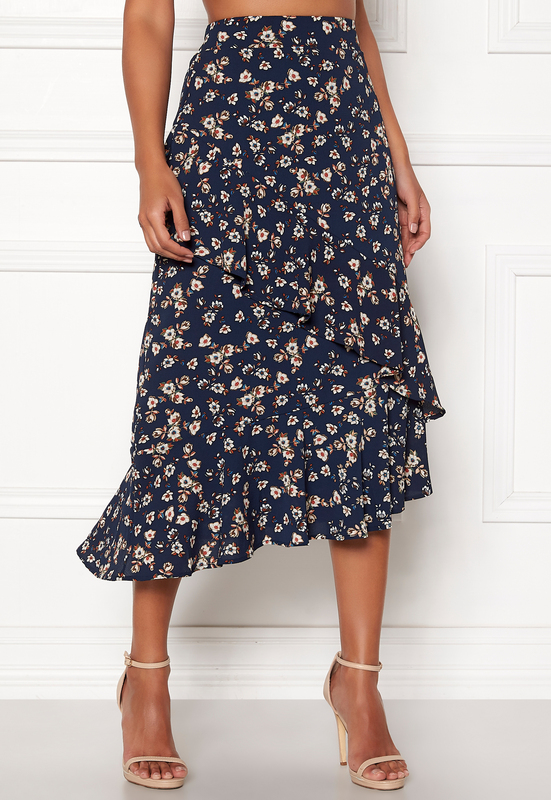 Gorgeous skirt with a pretty pattern from PIECES. 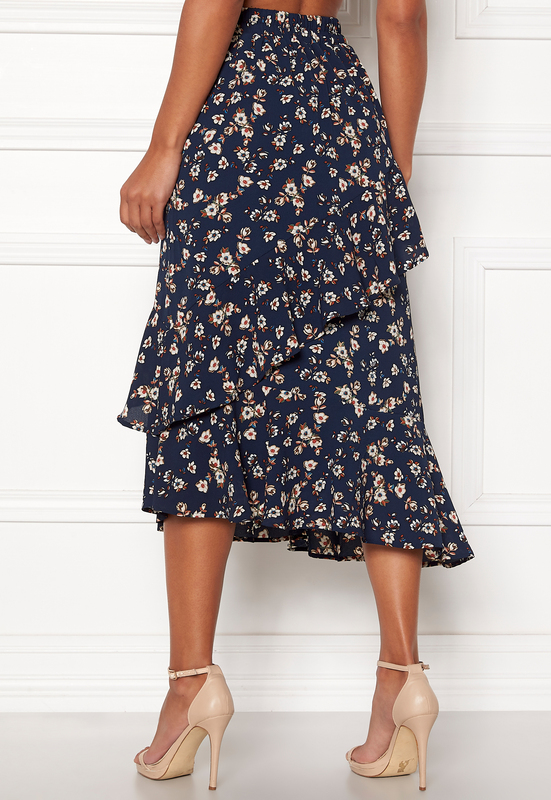 The skirt has a great fit and flounce details, and is perfect for both everyday and party wear. 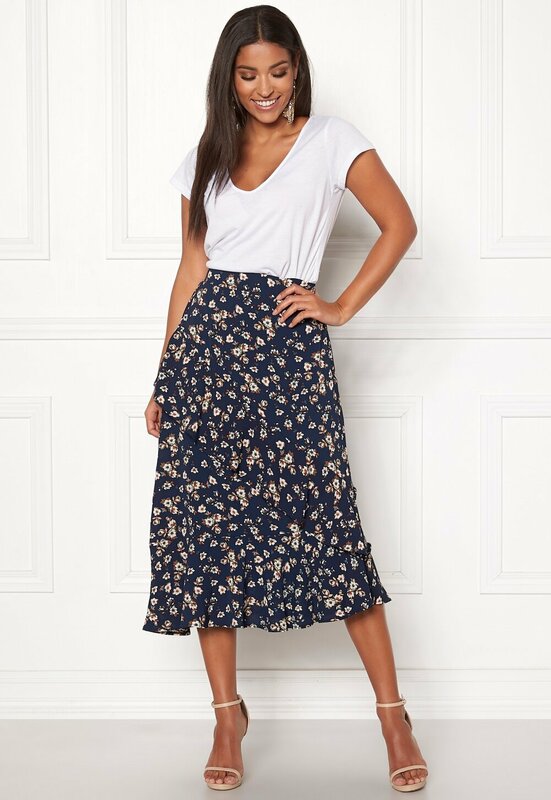 - Unelasticated, woven quality - Elasticated at the back of the waist - Flounce details - Lined Center back length 79 cm, in size S. The model is 172 cm tall and wears a size S. Machine wash at 30 degrees (delicate wash).